Thanks to the wonderful community of Kickstarter supporters who helped make CRAVES a reality! You can see a list of heroes HERE. 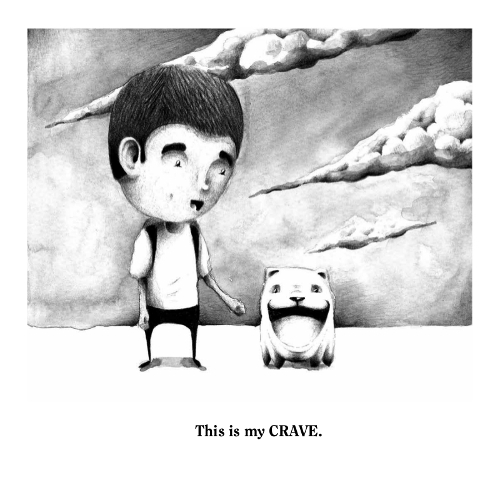 CRAVES combines a simple, yet powerful story with striking black-and-white illustrations to introduce our youngest readers to the concepts of cravings and addiction. Readers of all ages will be captivated by the unique illustrations in CRAVES, and instantly be able to relate the message of the book to their own experiences. CRAVES truly shines as a resource for parents/guardians, teachers, counselors, and anyone working with children to introduce a complicated and sometimes difficult topic. CRAVES provides a rock-solid platform on which to build an addiction education curriculum, launch an addiction awareness program, or simply start a conversation.